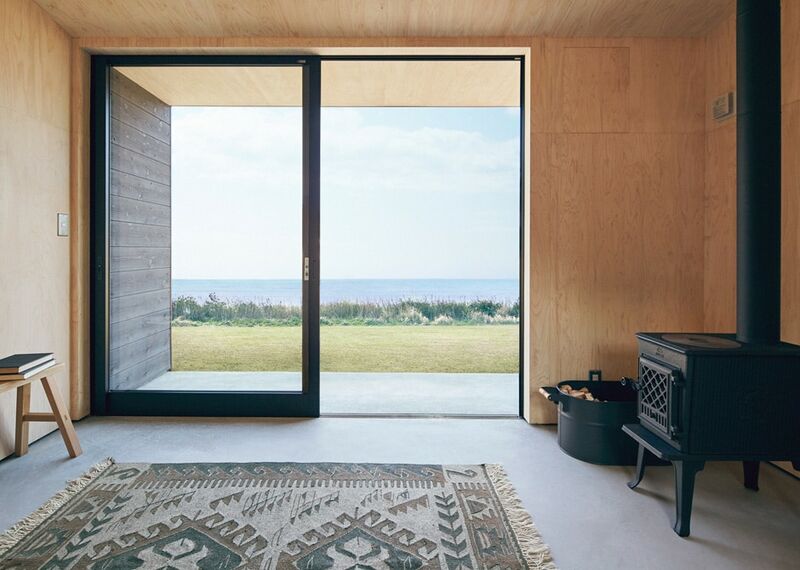 Everyone has their favorite things from Muji (mine are their travel containers, cut cotton pads, spiral notebooks, and plain totes), but have you seen their new foray into living spaces? 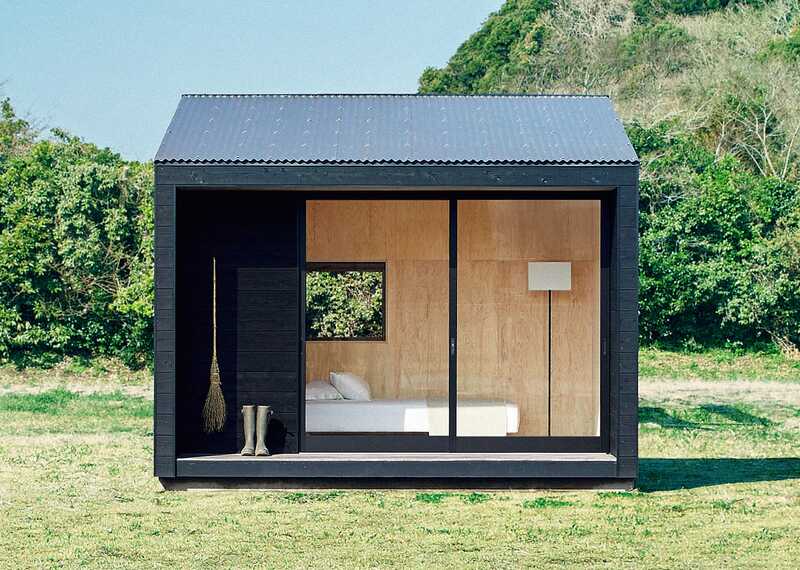 The Muji Hut appeared in my inbox this morning, and after spending 15 minutes blissing out while gazing at/listening to the website (turn the sound on—trust me) I have major heart-eyes for this little prefab cabin. Night and day. 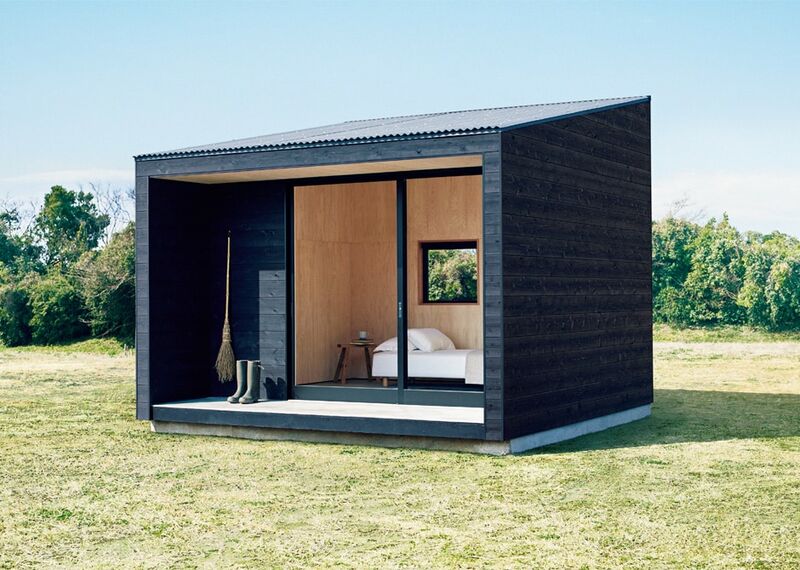 Without a kitchen or bathroom it’s not practical as a full-time dwelling, but as Muji puts it, “It’s not as dramatic as owning a house or a vacation home, but it’s not as basic as going on a trip.” Can’t you see Muji Hut being a little guesthouse or office in your backyard? 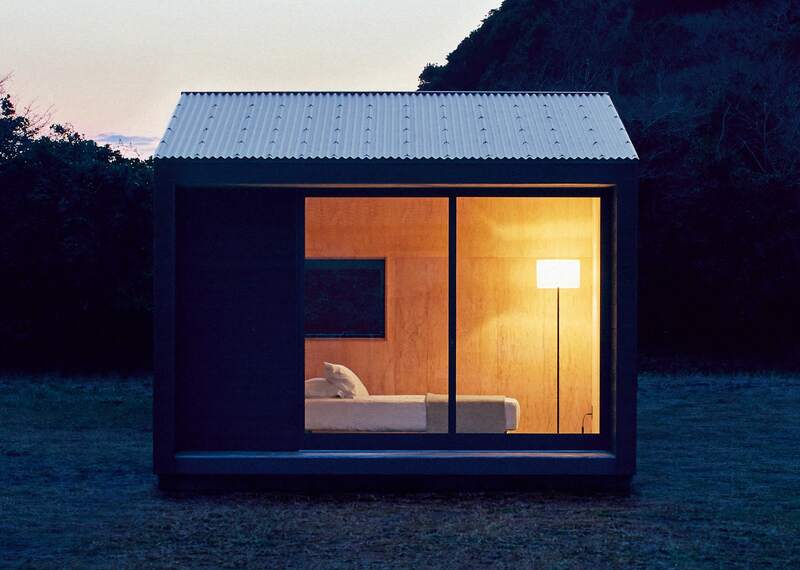 Or a getaway cabin on a remote piece of land? 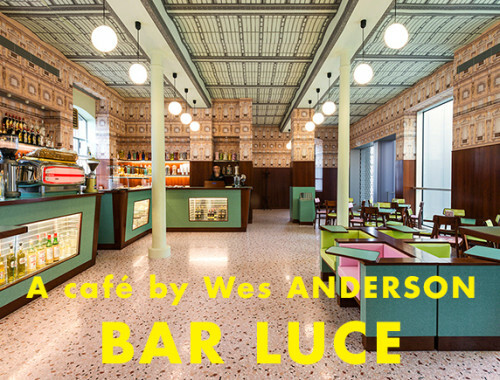 It’s such a beautifully simple, unobtrusive little structure. What a dream! I keep thinking about the tiny old fishing cabins in the Adirondacks, and how they’re really meant to be a place for shelter and warmth while enjoying nature. Eat breakfast on the porch in the morning, go for a swim or a hike during the day, cook a little campfire meal and read a book as a sun goes down, and then go to sleep in your little hideaway. 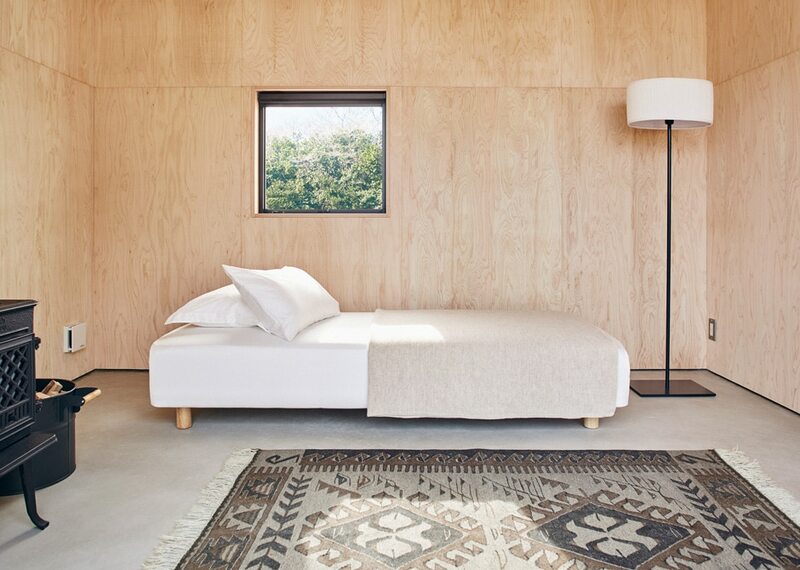 The interior walls are untreated Japanese cypress, and the floors are a smooth mortar finish. 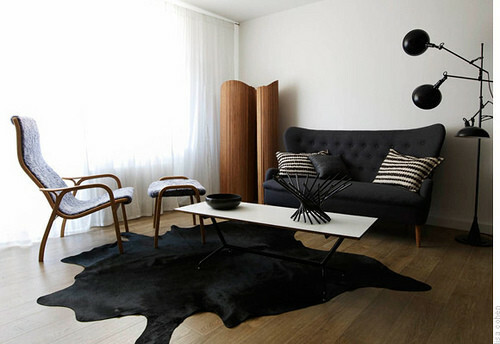 You could do anything with this space! Well, anything that can fit in less than 100 square feet. 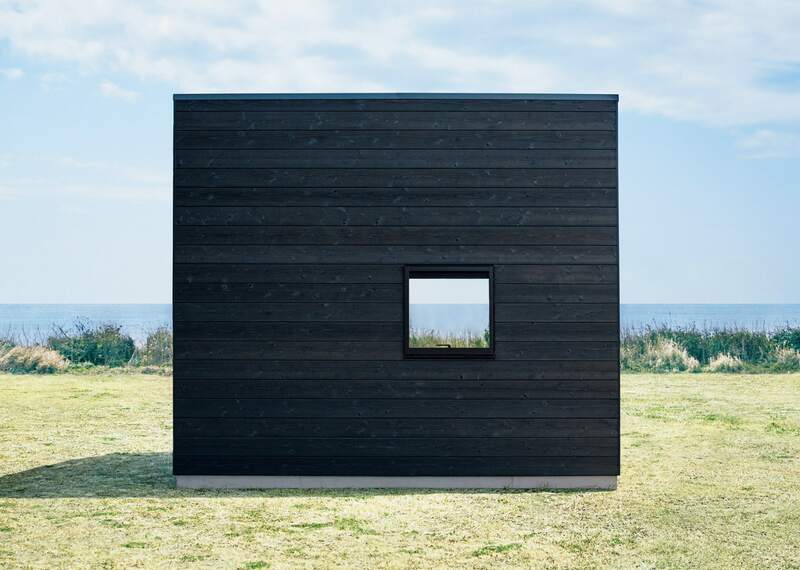 Muji Hut’s exterior is clad in burnt cedar wood, a strong and durable treatment borrowed from traditional Japanese shipbuilding. 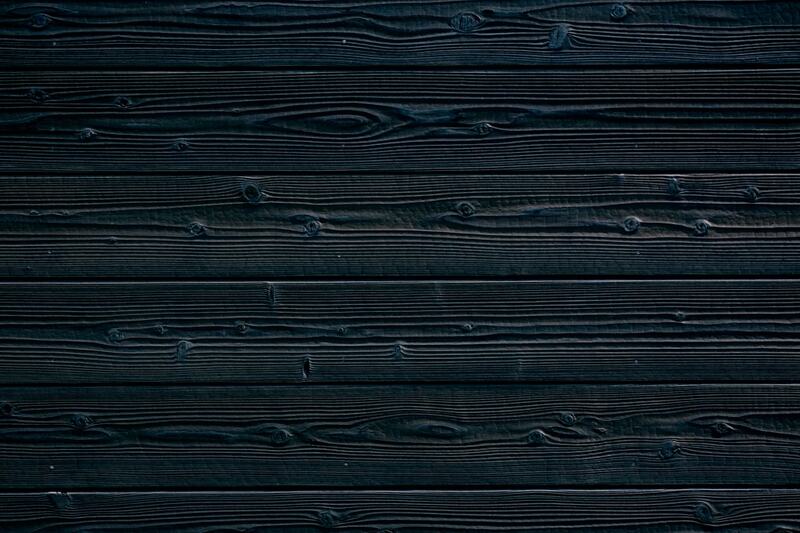 I love the contrast of the blackness of the outside with the light, raw wood of the interior. 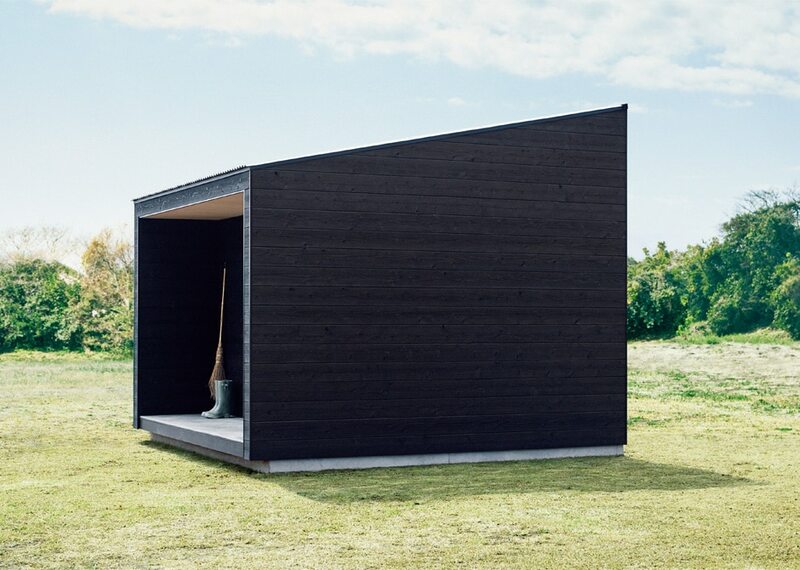 Muji Hut will be available this fall in Japan, and nowhere else, alas—but isn’t it a great thing to dream about, anyway? 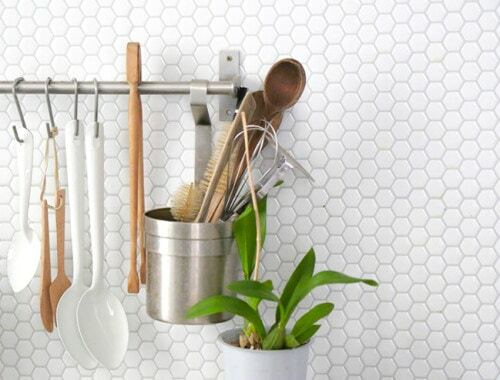 Easy, temporary backsplash: Smart Tiles. I love that you are posting so much again, Anna! (Long time reader, 1st time ever commenter…. :-)) Agree there is much to love about Muji products! Clearly I need to make a friend in Japan who can throw this thing on a barge and send it over. But seriously… how can we get this thing to the US. I have like 10 places to put it (yard in parent’s house, land behind grandma’s house, remote desert land off-grid that my dad inherited and doesn’t even know what to do with). Can we all just join together to buy like 20 of them and split the cost of a shipping container?